Sometimes with hectic lives there is not enough time to take care of everything that is needed at home, especially in the gardens. 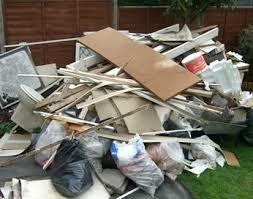 Gardens can easily become strewn with rubbish and waste which needs to be cleared away. High winds, fly tipping and even just waste from your own property can quickly make your garden look like a rubbish tip rather than a place to relax. If you want to tidy the garden, or need to clear it as part of a larger house clearance, then you will need to take steps to tackle the mounting pile of rubbish in your outside area. The problem is particularly intense if you are trying to clear away dead shrubs and trees, or if you want to landscape the garden. This often leaves a lot of rubbish which can block your garden and make your neighbours unhappy. Rather than face complaints going to the council, you can follow a few simple tips to help make tidying your garden easy. If you have had work done in your garden, then you may be faced with a lot of rubbish at the end of it, including branches, tree stumps and vegetation that are making the garden look untidy. Rather than cart these branches around your garden and try to jam them into your bin, you could cut them up to make them easier to transport. Use garden shears to trim those unattractive branches and make putting them into your waste bin for the council to collect much easier. High winds can blow down even large trees, and will also knock down fences or cause other damage which leaves you with a lot of wood to get rid of. You might not be able to cut it all up small enough to make it easy to move, but a wood chipper can help you to grind down large lumps of wood into small chips. You may even find that your neighbours want some of this waste, since it can be good for fertilising areas or using as bedding. If you are clearing the garden to make it more attractive, then one way to handle garden waste is to create a compost heap. These used to be common in the gardens, but are now extremely rare, simply because people don’t have the time or skill to create a really effective compost heap. They can, however, be worth the effort if you have a lot of vegetable matter, as they nourish the ground and are a cheap and easy source of fertiliser for plants and trees. Fly tipping can be a serious problem in parts of Bracknell and the surrounding areas, and if you have suffered this problem then the only thing you can really do is to have a rubbish removal team clear it away. You will be responsible for removing the rubbish once it is dumped, and a professional team can help you to get rid of every scrap of rubbish left in your garden by fly tippers. Following these tips will help you to transform your garden into a relaxing and nice area for yourself and your family. It is never too late to start that job you have been postponing for so long!